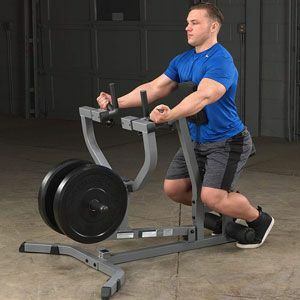 Does The Body Solid Seated Row Machine Offer A Good Workout? The words row machine typically conjure up images of something a lot different than the Body Solid Seated Row Machine. The shape and function of this device may be a little confusing to the novice user. Still, there should be plenty here for those with a little more gym experience under their belts. This product is said to be perfect for both at-home and commercial applications, which suggests a great workout and impressive gains. Are users impressed with what they receive?